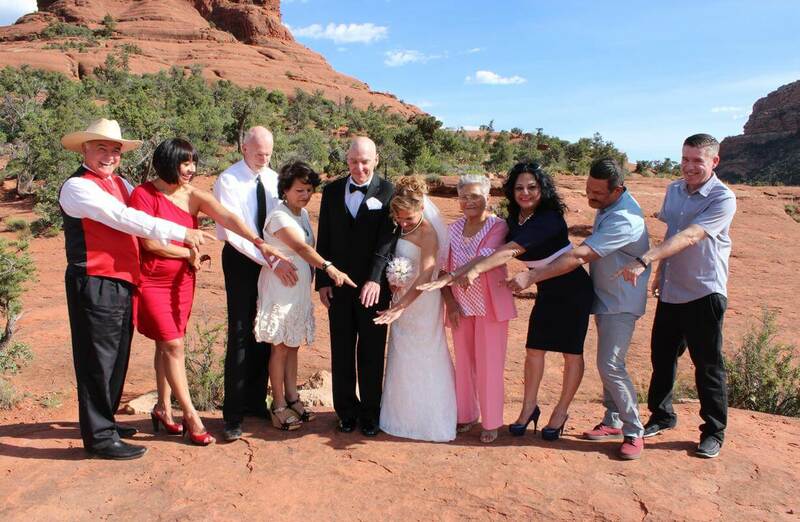 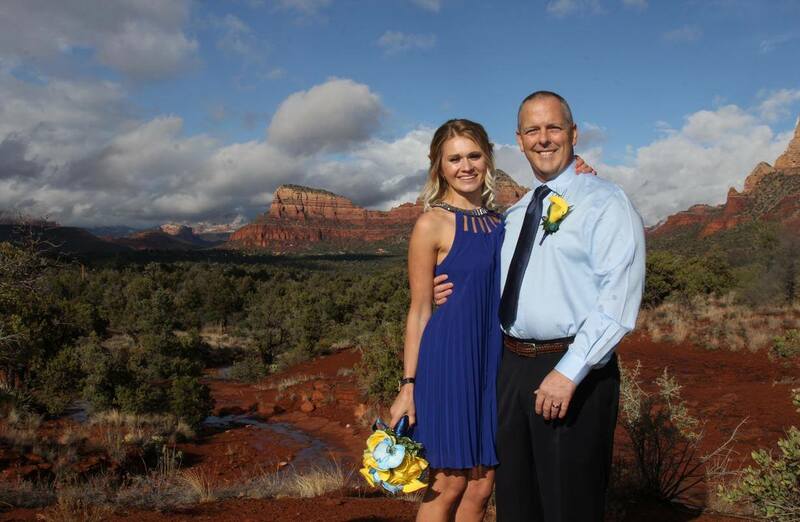 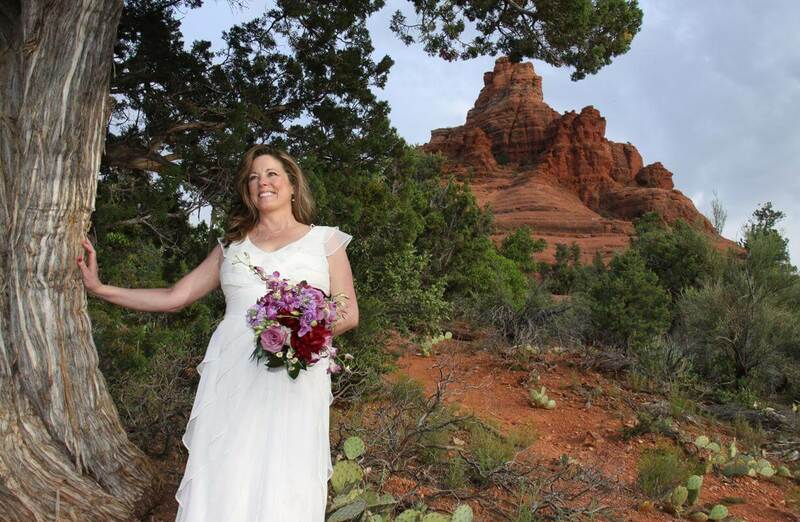 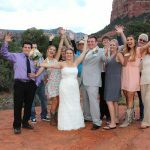 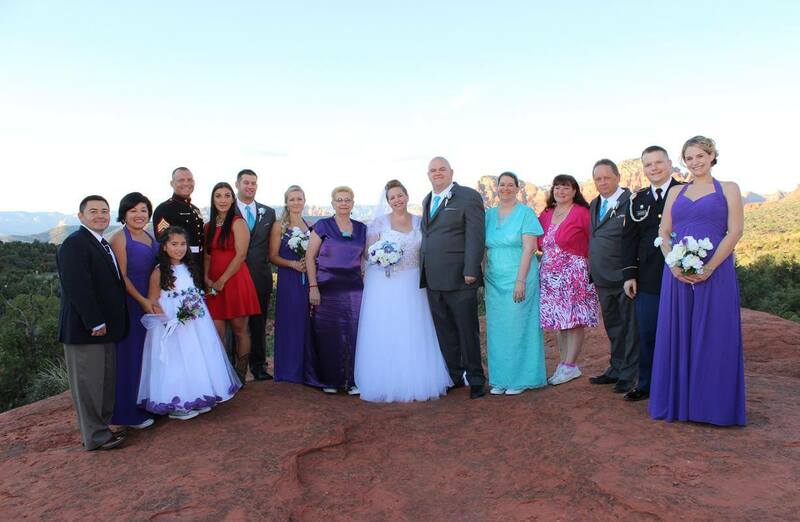 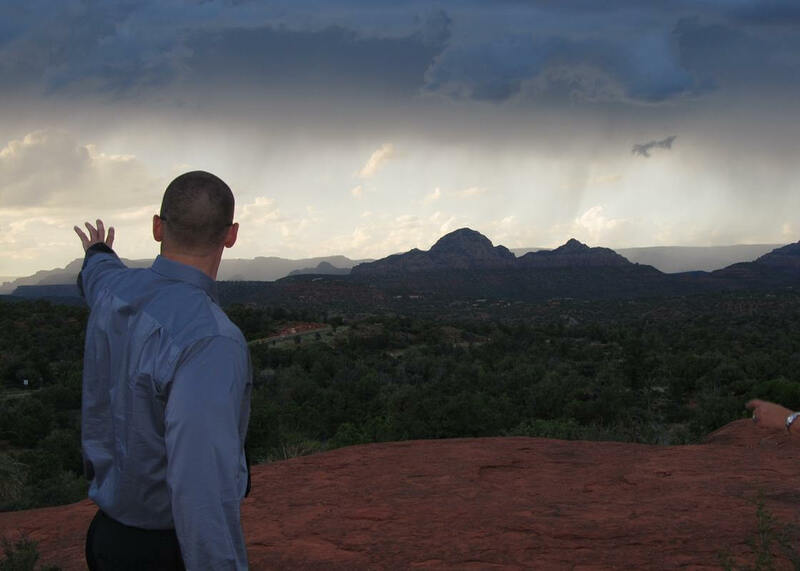 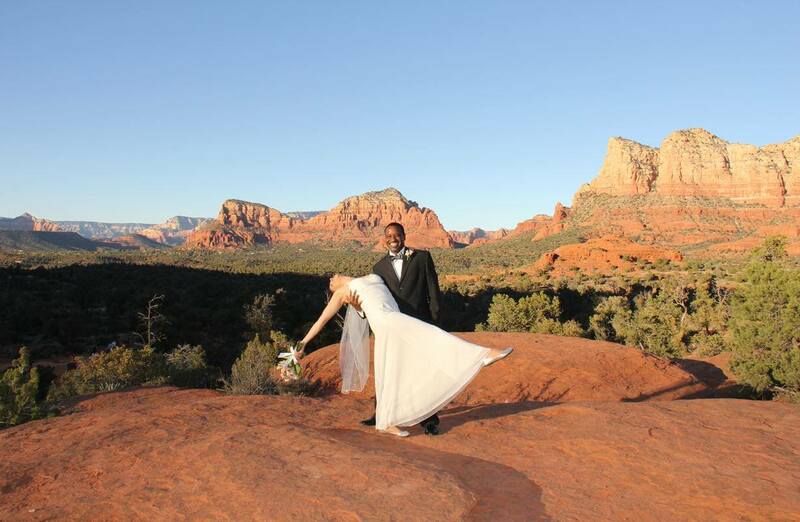 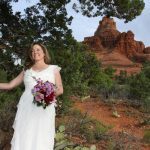 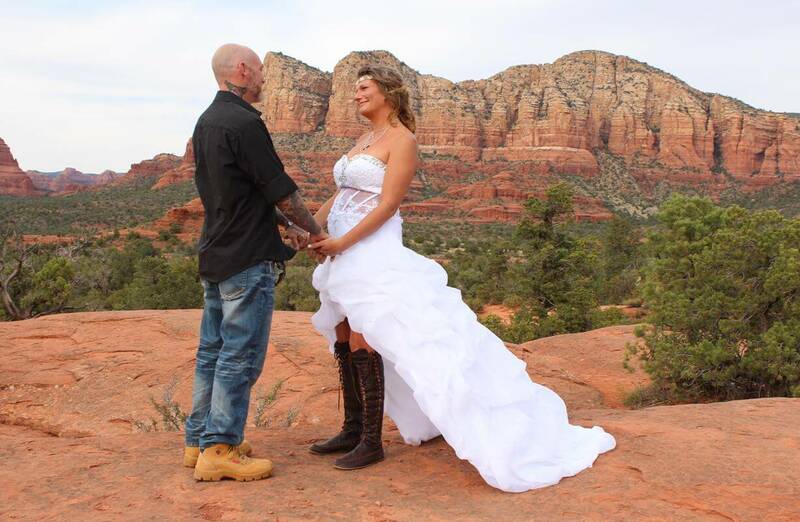 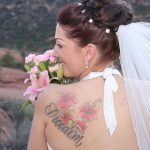 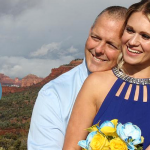 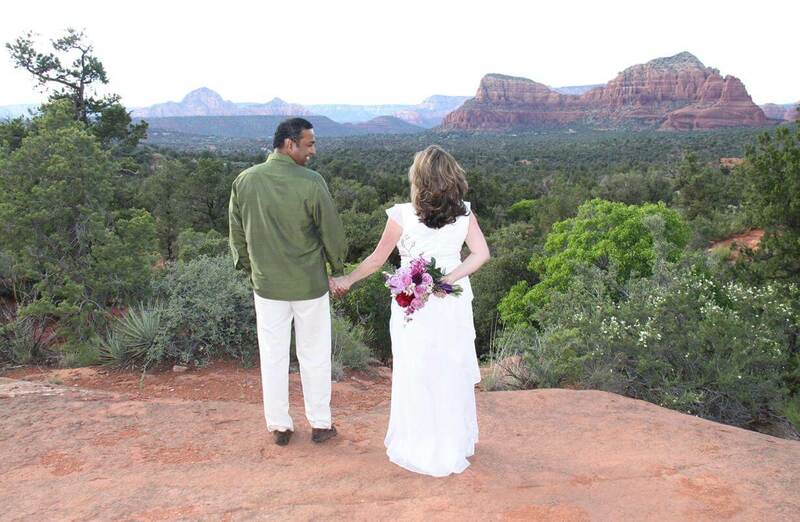 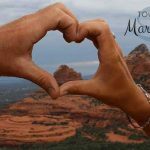 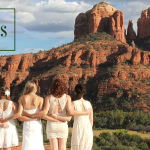 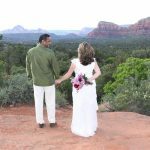 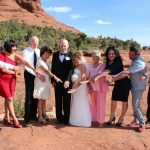 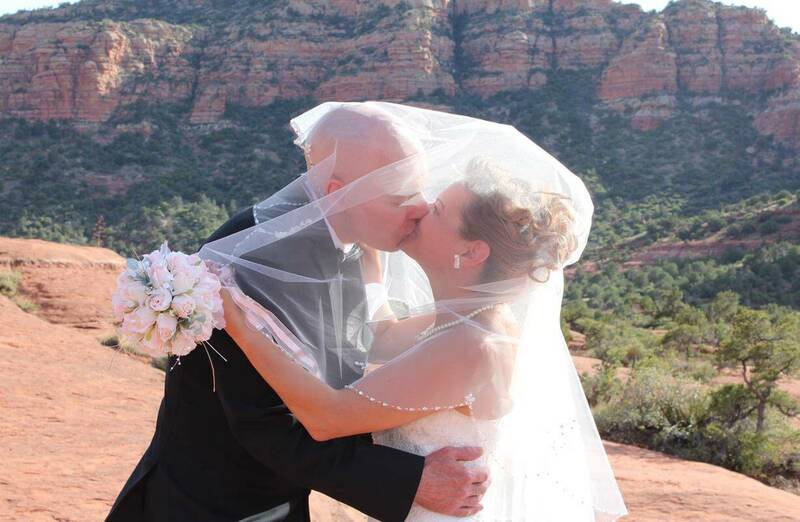 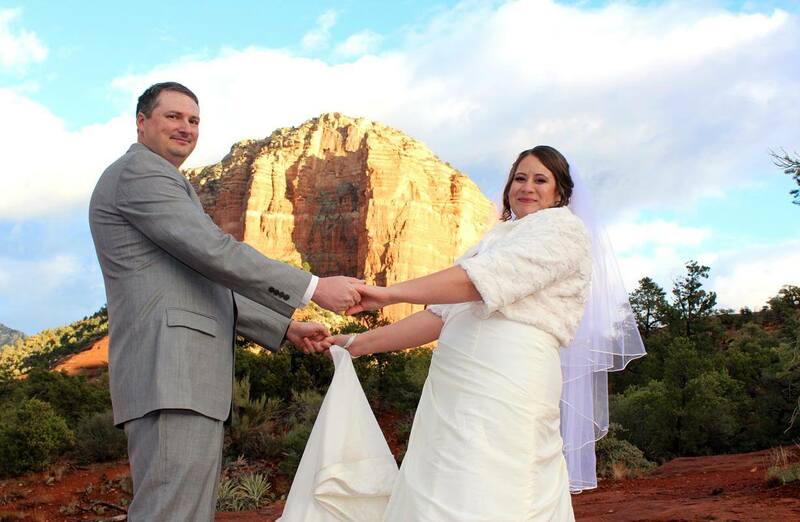 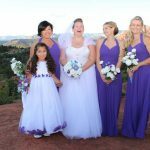 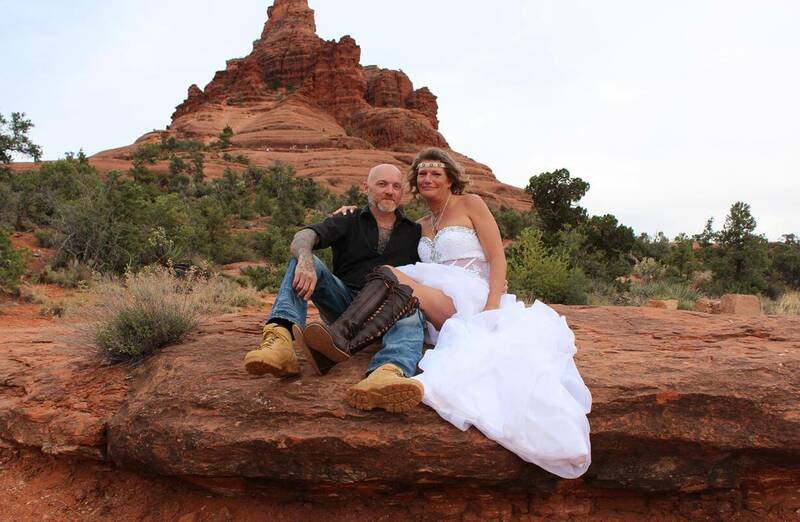 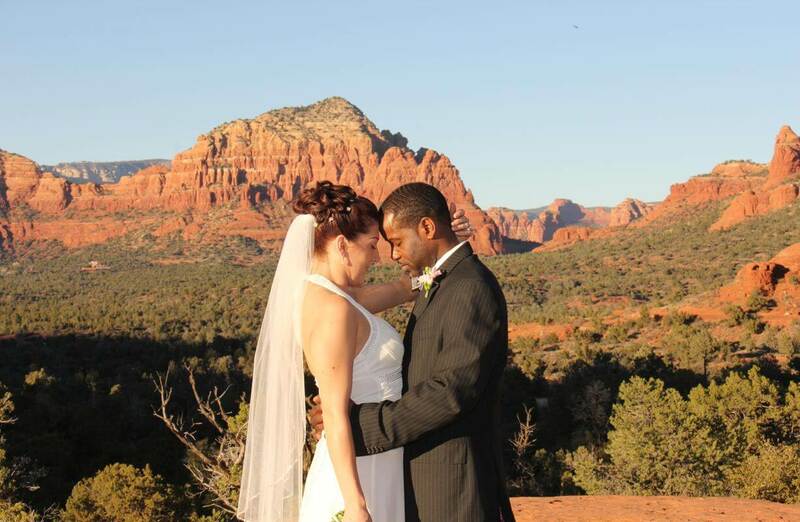 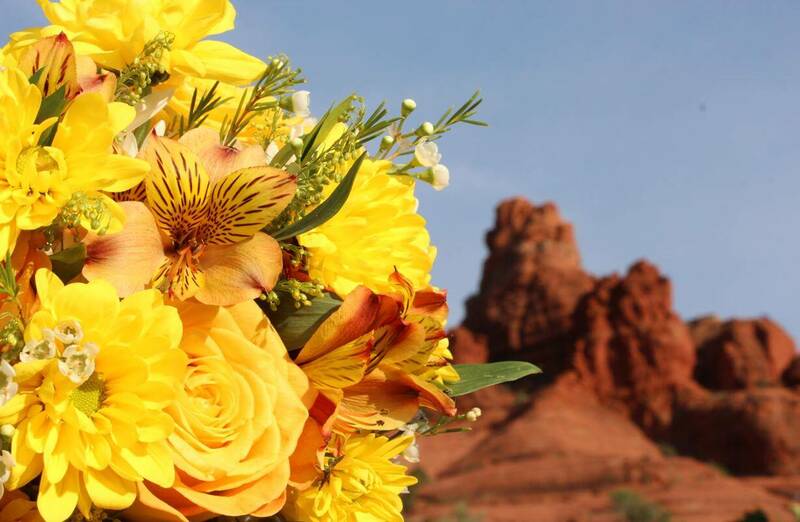 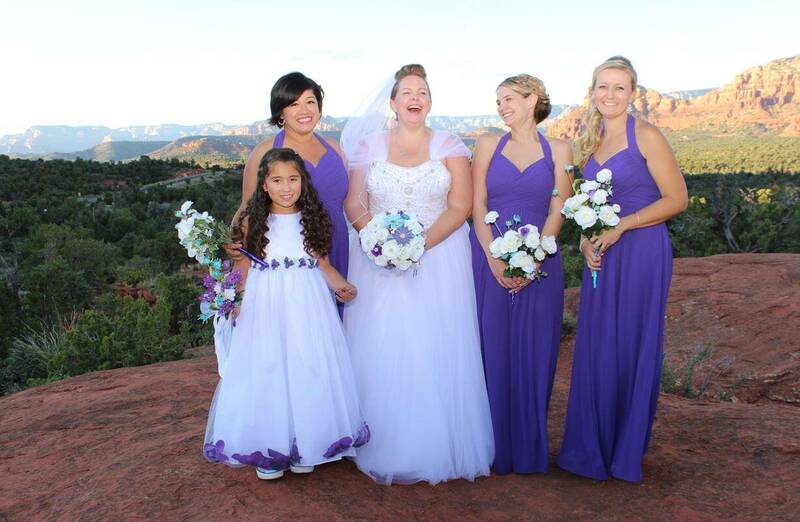 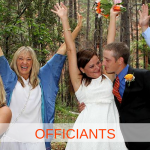 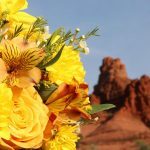 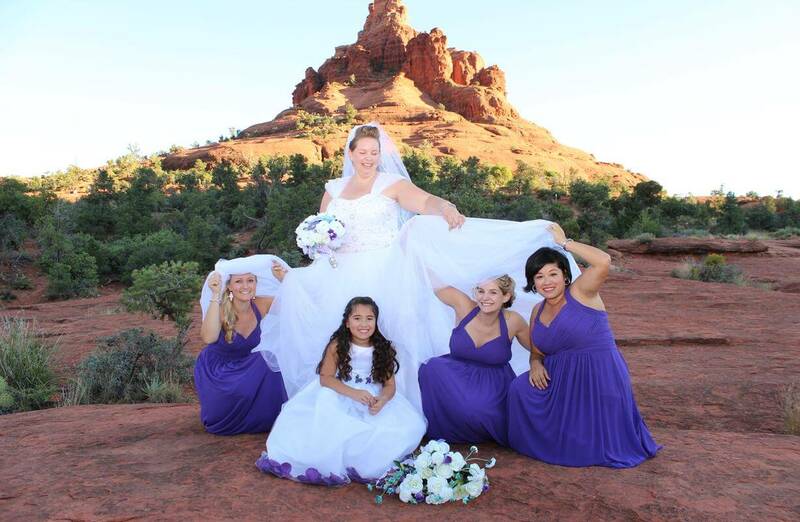 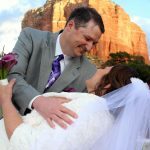 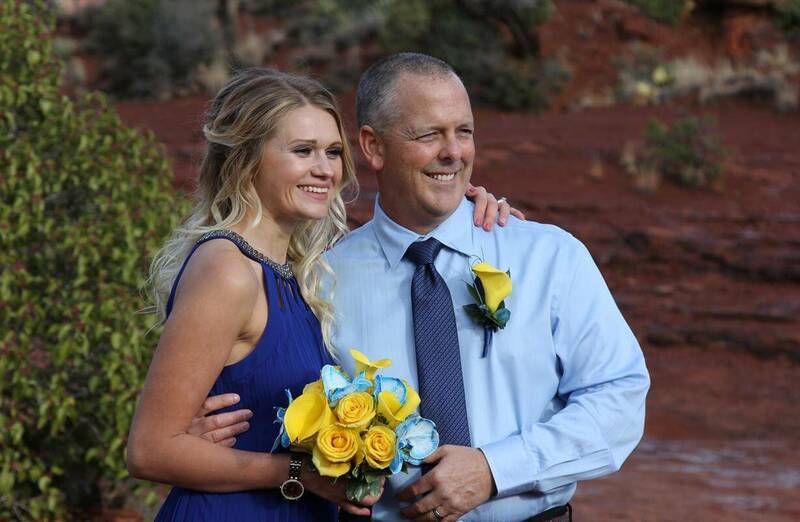 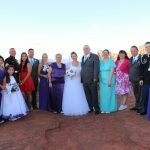 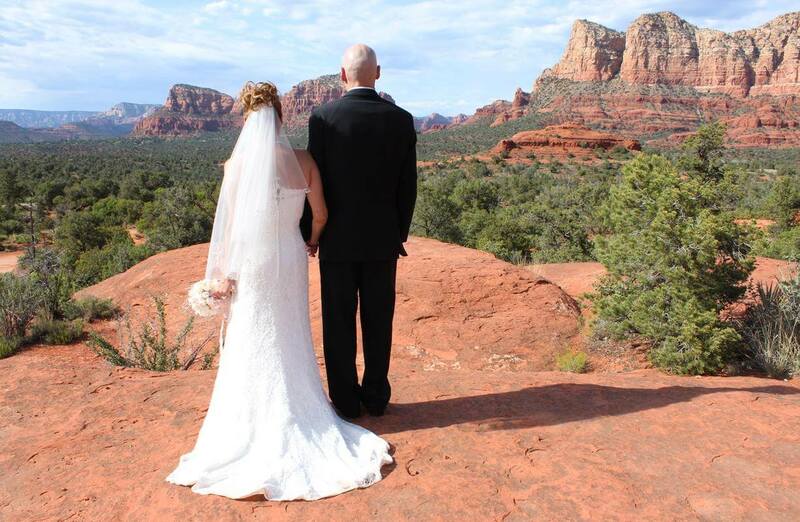 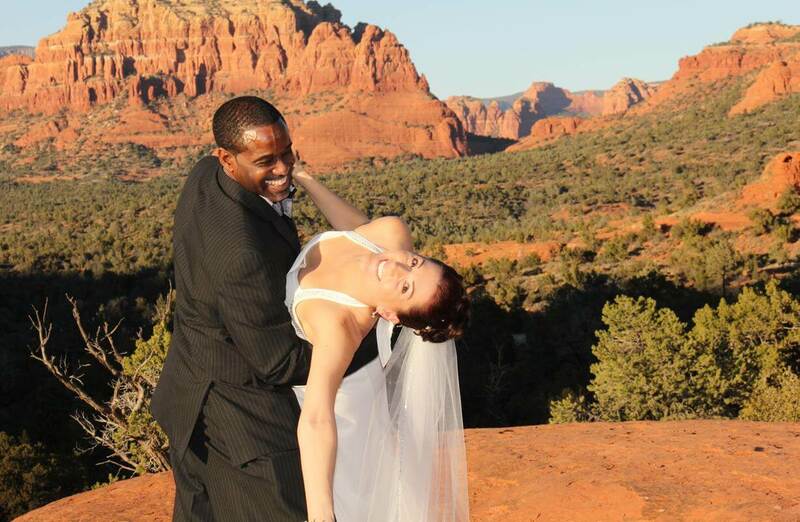 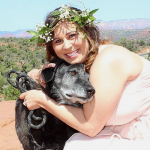 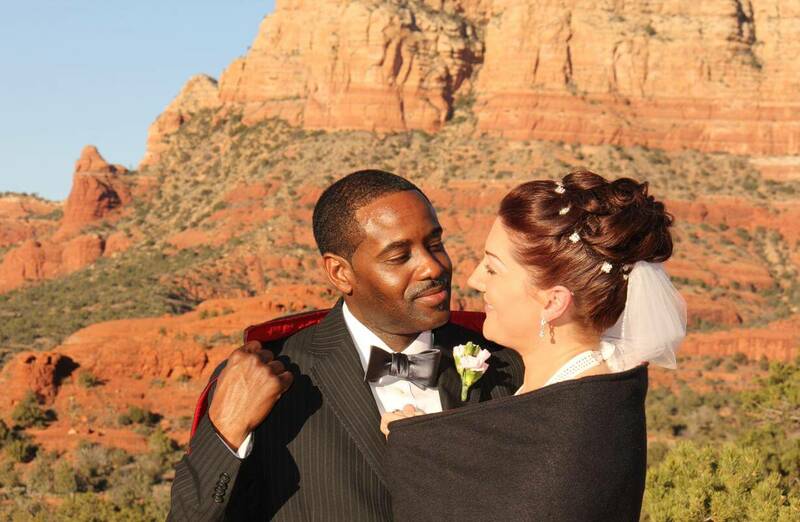 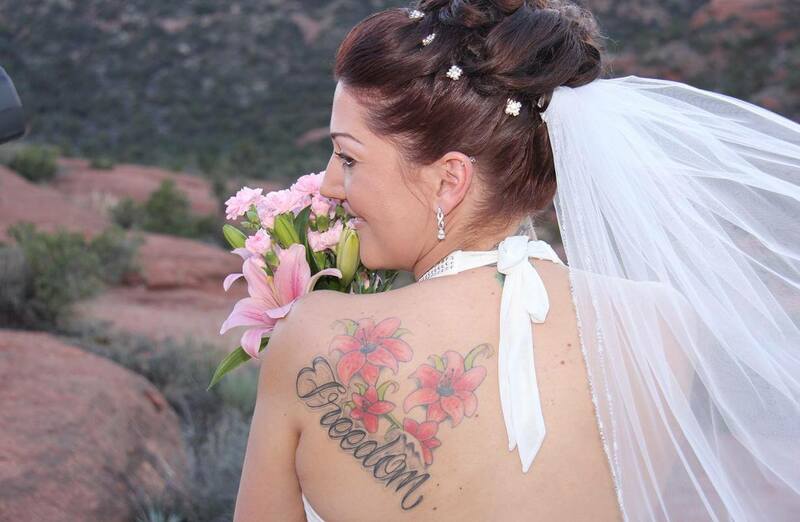 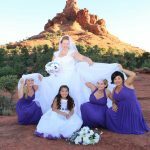 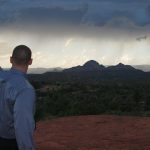 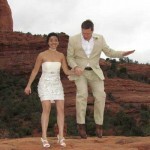 Bell Rock is a well known Sedona monument and a perfect venue for a Sedona wedding. 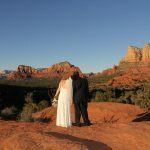 This venue has great views of the valley in front of it with Courthouse Rock beside it and Twin Buttes and Cathedral Rock in the distance. 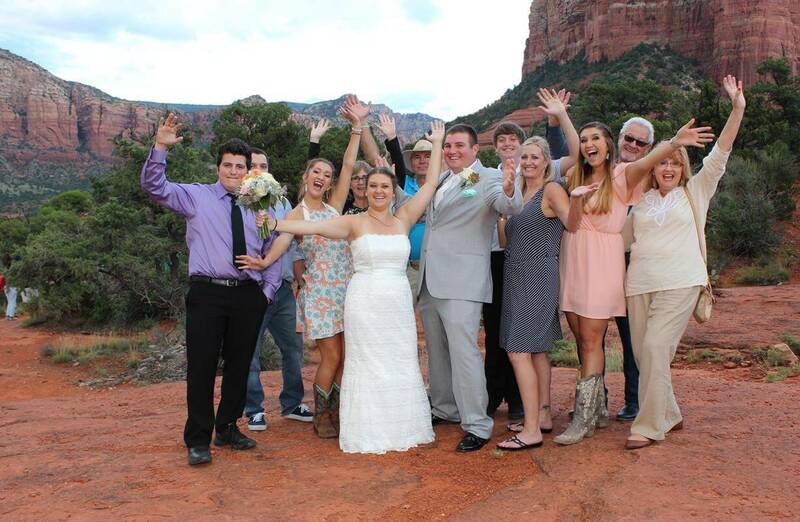 It’s a great spot for all size weddings. 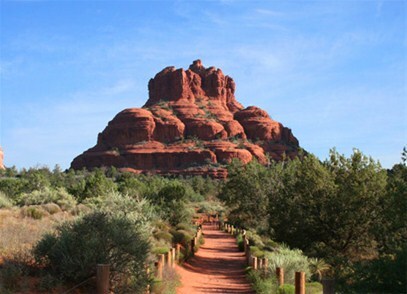 There is plenty of parking and it’s accessible with a moderate 10-minute hike. 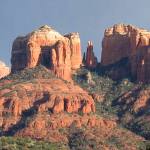 Bell Rock is also a major vortex site. 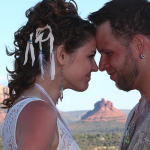 It has very electric and powerful energy and acts like a giant transmitter. 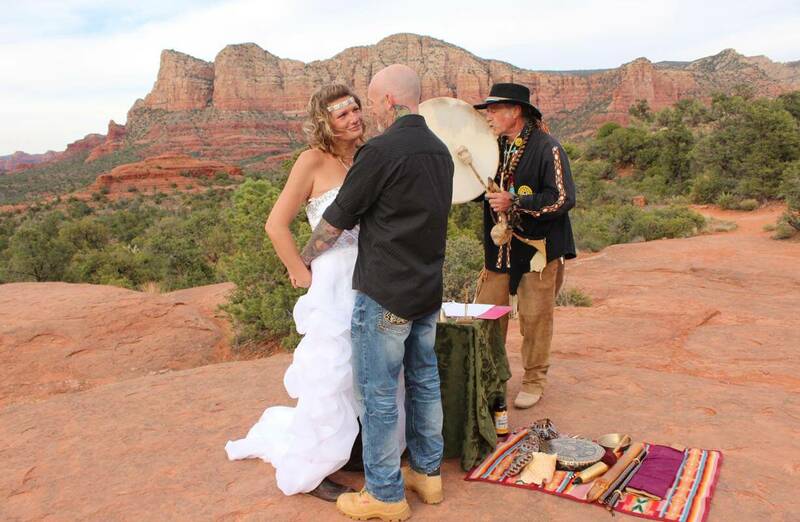 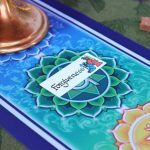 Your vows and commitments to each other will definitely be heard and noted by the Divine. 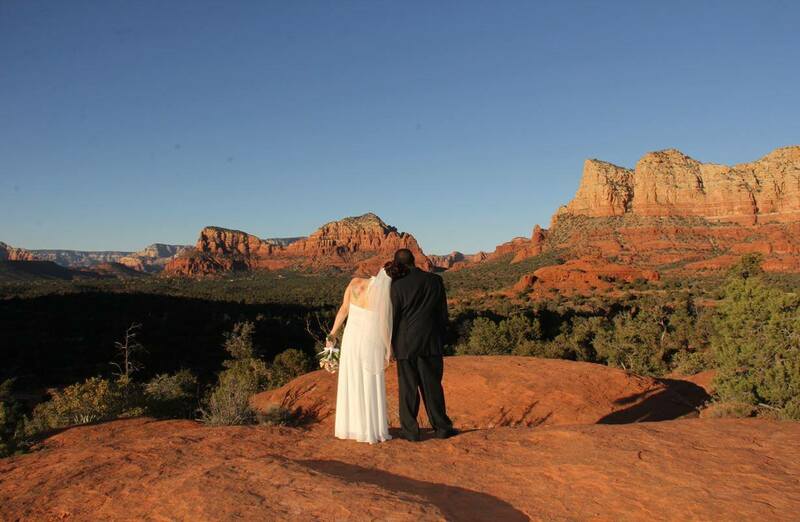 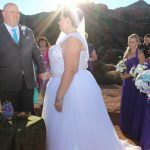 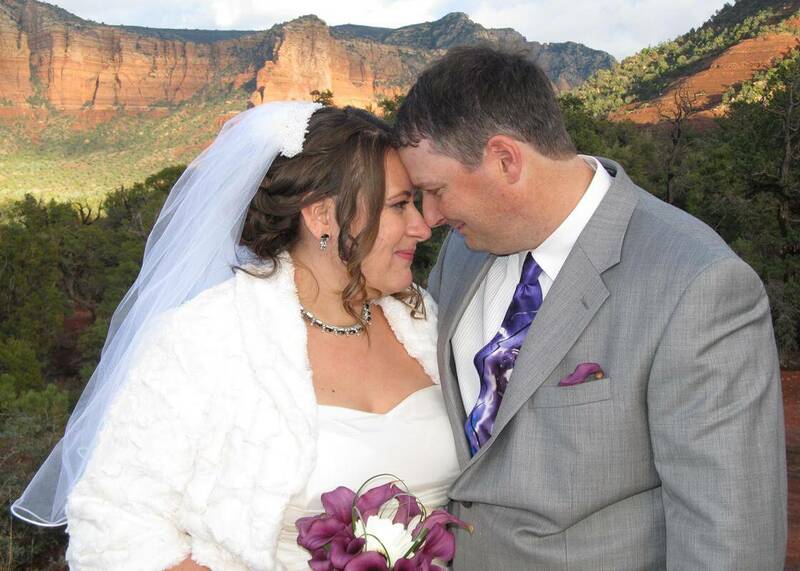 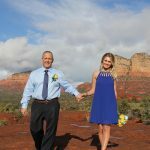 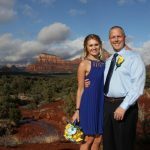 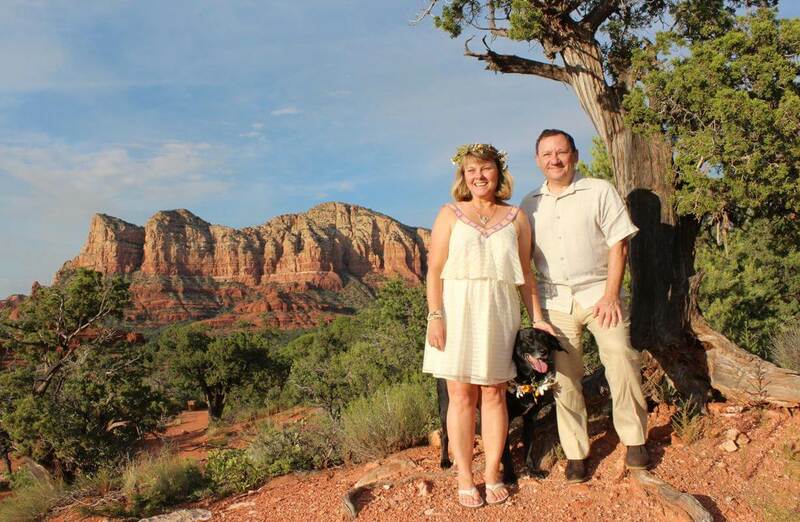 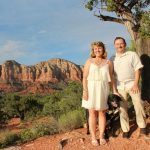 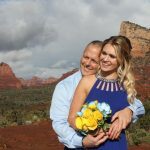 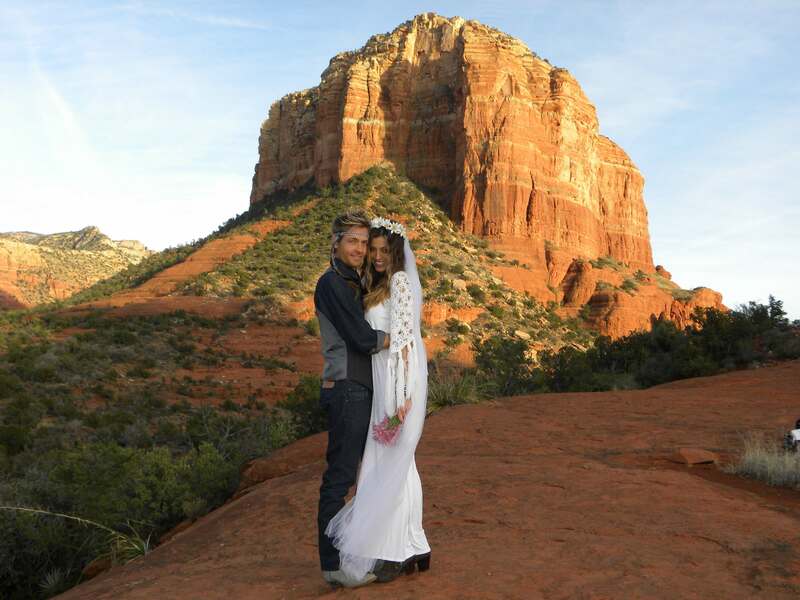 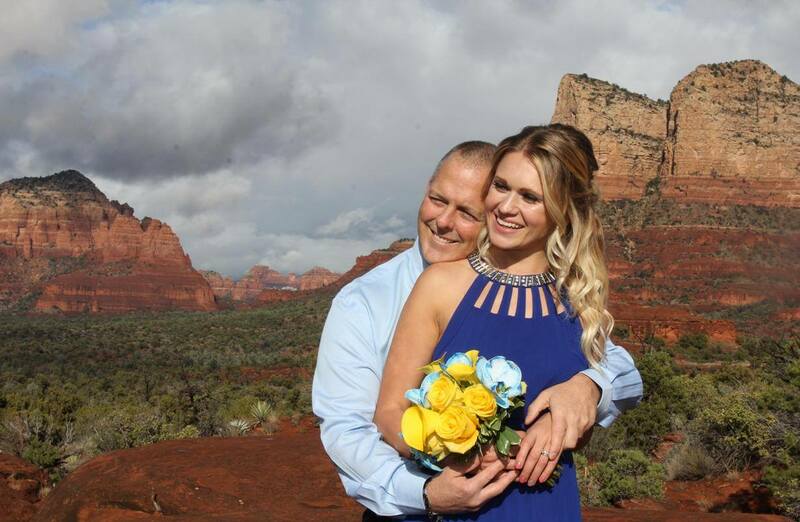 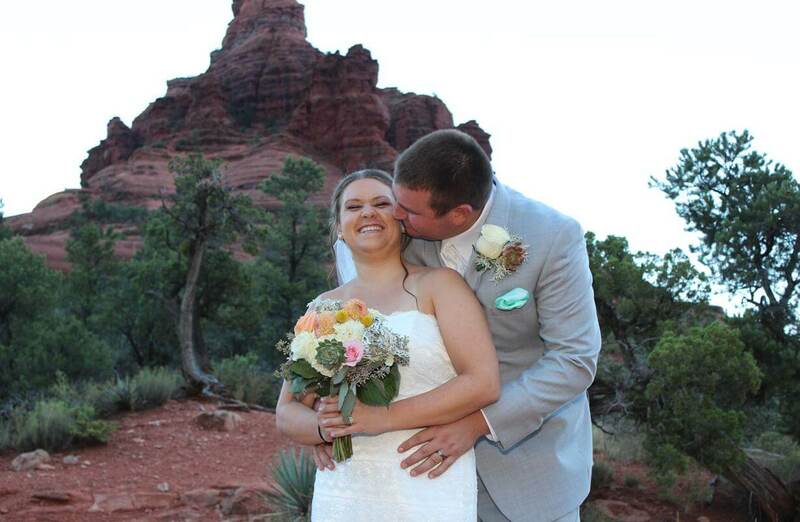 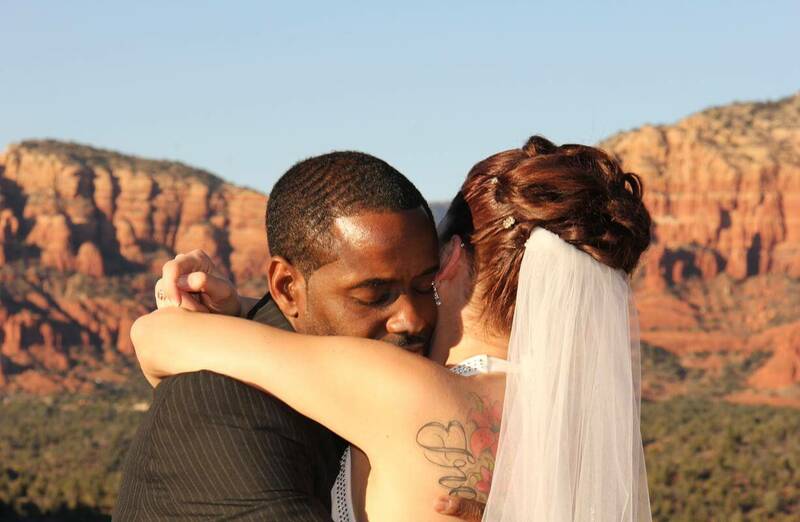 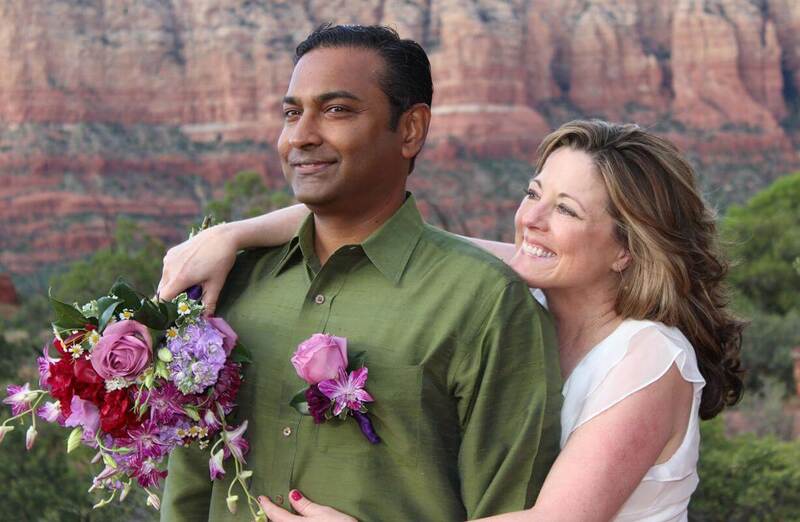 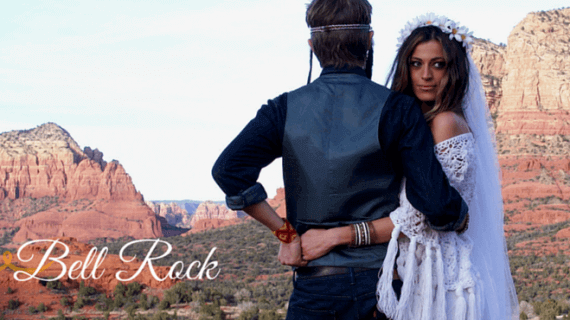 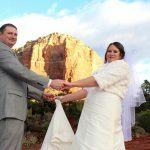 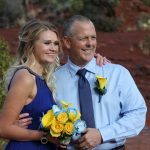 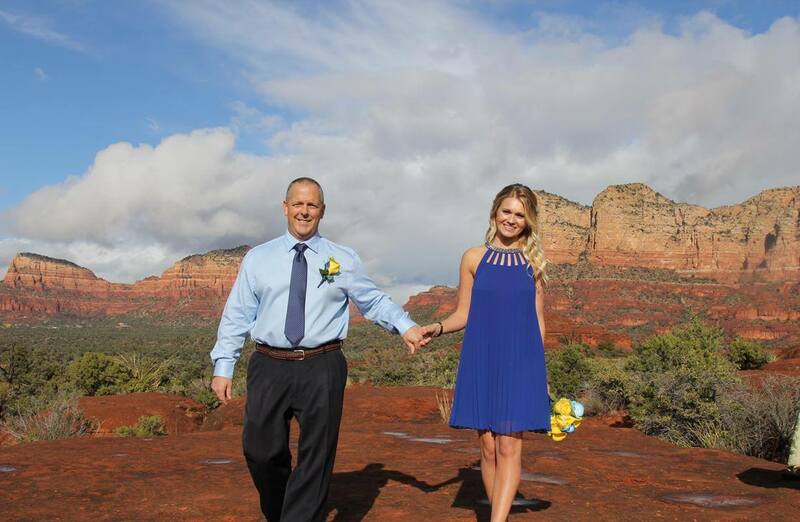 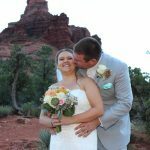 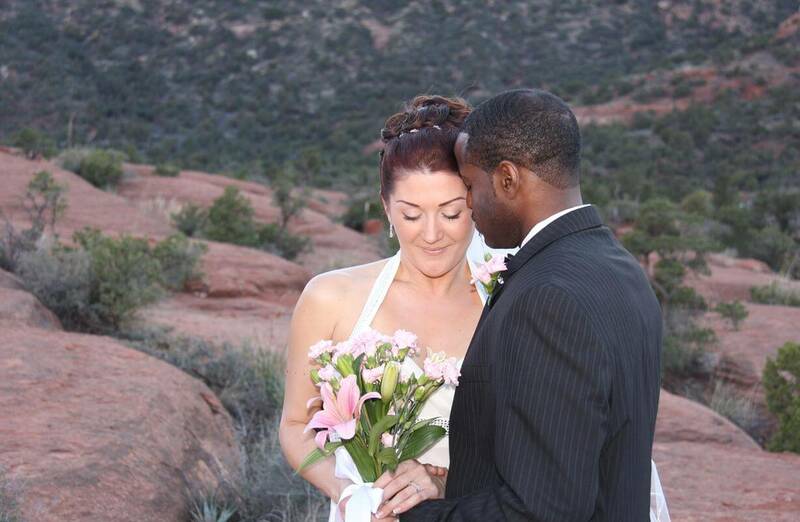 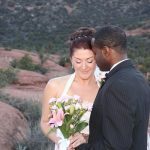 “We eloped to Sedona to have a small wedding at Bell Rock at sunset (~15 people). 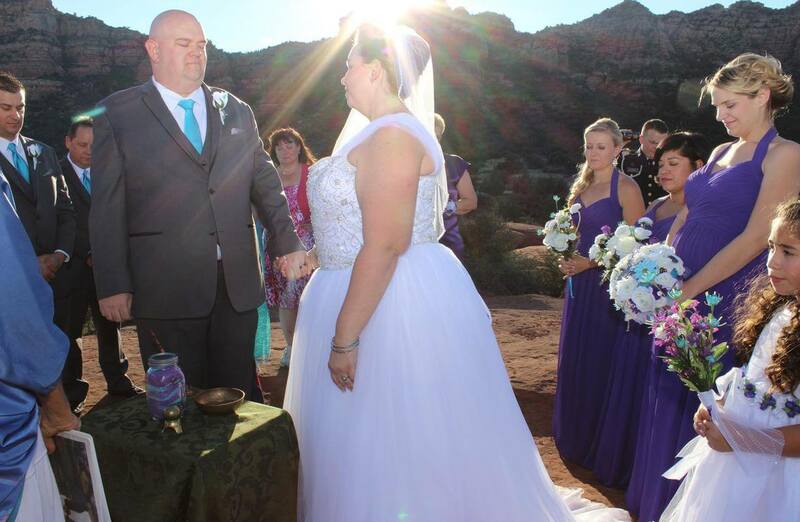 It was so beautiful and everything that we could’ve ever wanted! 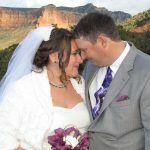 We live in Colorado, and it was also very easy to arrange exactly what we wanted via phone and email. 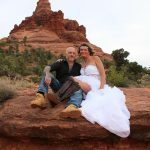 They gave suggestions on all the wedding planning details such as where to stay etc, which was super helpful, given that we live 12 hours away. 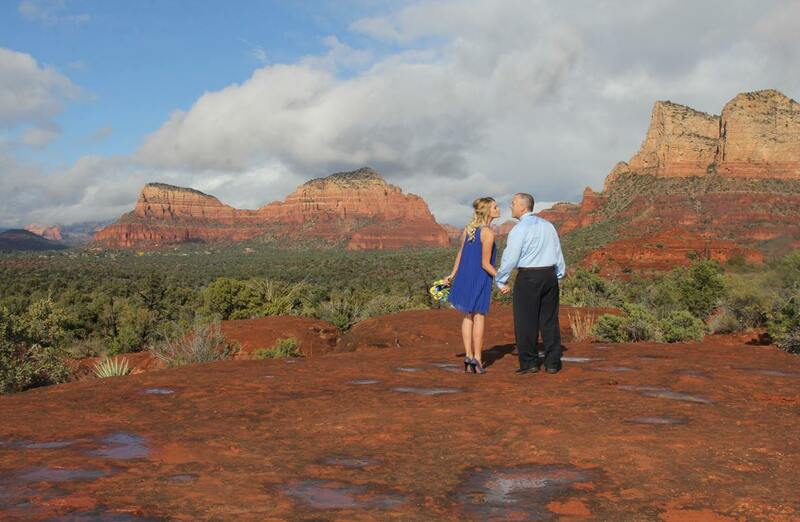 Again, the location was BEAUTIFUL and the venue was great! 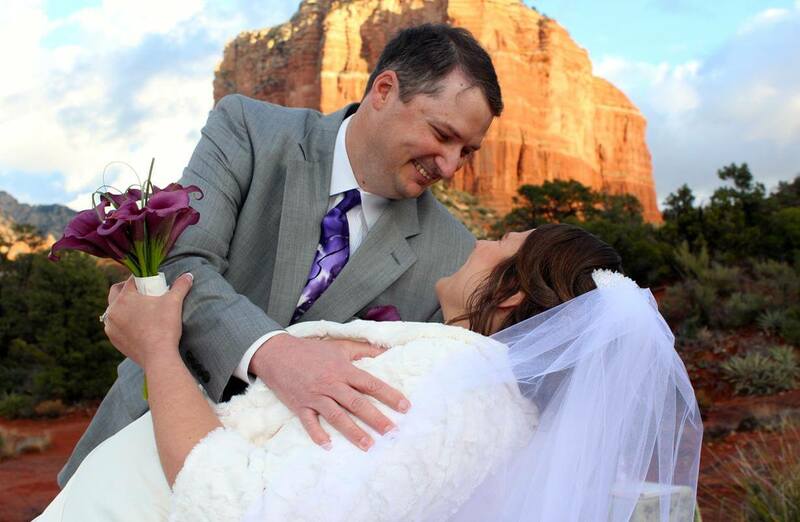 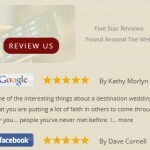 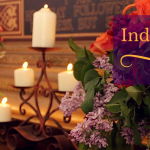 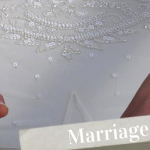 Above all else, our wedding was fun, simple, and STRESS-FREE!” — Emily S.